Creating an interesting kids garden can be a challenge, but careful Landscape Design can achieve an impressive result for both parents and kids – Kids garden Ideas, tips and photos. 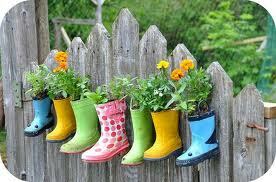 Inspiration for your kids yard garden landscaping. Plants, design ideas and plans. 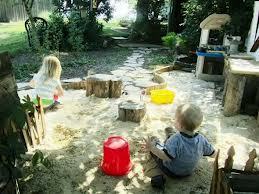 A garden designed for kids needs to be thought out carefully. There are a few landscape design tricks – Firstly you need to work out what practical functions you need your yard to achieve for the children such as a seating area, lawn for the kids to play on, a sandpit and shade. 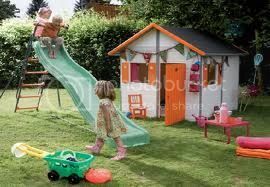 Integrate these practical elements carefully into your kids garden space so that the effect is attractive as well as fun and entertaining for your little ones. Kids need to be stimulated – try and add a vast array of sensual elements to the garden such as textural and scented plants, flowers, sand and large pebbles, a blackboard, a mirror and a few pots. All these elements can be easily achieved by a DIY gardener. Most kids enjoy getting involved with some basic gardening and it can be educational for them. Try making gardening fun, planting some old boots with flowering plants is a nice way of adding some charm to your kids garden. Ensure that your gardens landscape design is an open and free form style. Avoid rigid straight lines and formal hedges. Try and add contrasting clumps of foliage to create interest and excitement to the planting design. Water is often used in a garden design, a simple pond or water feature can transform a garden space, but ensure that it is very shallow so its not a hazard. Winding, flowing pathways also add a sense of intrigue to any garden. By using soft curved lines in your garden, you blur the perception of the space and the especially the boundaries. Vegie gardens are a fantastic idea for a ids garden. 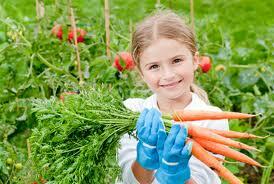 Try planting some simple vegetable seedlings and seeds such as carrots, peas, beans, radishes, lettuce and corn.